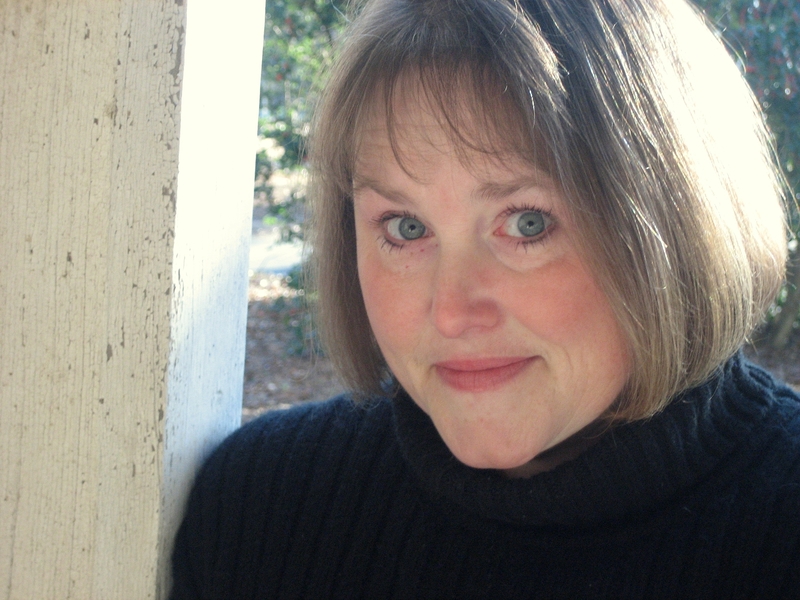 Playwright, Lorraine Thompson, holds a bachelor’s degree in Education from Auburn University of Montgomery, Alabama and an M.F.A. in Theatre from The University of Georgia. Currently, Thompson serves as Department Head/Drama Instructor at Athens Academy in Athens, Georgia. Storyville by I.E. Clark Publishers. Thompson’s published articles include Losing the Actor Voice, Pioneer Drama 2014,The Tradition of Team: Building a Legacy of Working Together, Pioneer Drama 2013, Fan-o-Grams: Fund Raiser That Raises More Than Money, Pioneer Drama 2013. Thompson’s professional affiliations include the Educational Theatre Association and the Dramatist Guild of America. Creon The new King of Thebes. Uncle to Antigone and Ismene. Father to Haemon. Husband to Eurydice. Strong willed. Haemon Son of Creon & Eurydice. Fiancé to Antigone. Strongly in love with her. Advisor Colonel. Advisor to Creon. Captain Trusted military leader to Creon. In relationship with Ismene. 2 Sentinels Guards. Comedic characters. Antigone Sister to Ismene. Fiancé to Haemon. Niece to Creon & Eurydice. Strong willed. Ismene Sister to Antigone. Niece to Creon & Eurydice. In a relationship with the Captain. Gentle and loyal. Eurydice Mother to Haemon. Wife to Creon. Is still mourning the death of her first son, Magarius. Grief has made her weary. Nurse Nurse to Antigone & Ismene. Loving. A mother figure to Ismene. Teiresias Blind prophet. Powerful and wise. Greek tragedy usually opened with a prologue, which gave an overview the situation. The chorus then entered- usually with music. The role of the chorus was to serve as connection for the audience. Often times reflecting the public’s views and opinions. At times they would give the audience a glimpse of the future. The rest of the play was devoted to an alternation of episode (action) and stasimon (chorus) until the exodus (finale) when the chorus would leave and the play would end. This play is an adaptation of a play by Greek playwright, Sophocles (born ca. 496 b.c., died after 413b.c.) Sophocles wrote around one hundred and twenty plays, but only seven survived intact. Three of these plays deal with the saga of Thebes. Oedipus the King is the first in this trilogy and is probably the greatest of the Sophoclean tragedies. Due to a family curse and prophecy, King Laius and Queen Jocasta abandoned their newly born son, Oedipus, soon after his birth. (The feared prophesy was that their son would kill his father and marry his mother.) The child was soon discovered by a shepherd and raised by the king and queen of Corinth, Polybus and Merope. Years later, Oedipus met Laius on the road. There was a quarrel and the young prince, unaware of the older man’s identity, killed Laius. He continued on the city of Thebes. Upon arrival he killed a monster that had been plaguing the city and married the city’s queen, and his mother, Jocasta. They had four children: two boys and two girls. When he learns that her former husband had been murdered, he curses the murderer. Therefore cursing himself. Upon learning the truth, Jocasta hangs herself. Oedipus rushes to her side and in grief and shame takes a brooch from her robes and gauges his eyes out. He then begs Creon, Jocasta’s younger brother, to take him far away from Thebes. Oedipus at Colonus is the second of the three plays. However, it was the last play written by Sophocles. He was almost ninety when it was written. It depicts the last hours of Oedipus. Antigone ends the trilogy- although it was the first of the three to be written. It is said that it is this play that made Sophocles, at age fifty-five, famous. After Oedipus dies, his son’s inherit the crown. A war breaks out between the two. Each is slain by the other in battle. Creon becomes king. He declares that only one of the brothers may be buried. Antigone cannot allow one brother to be buried and one to be denied burial. She breaks the law and attempts to bury him. She is caught in the act and imprisoned for her act. The question raised is one of the relationship between the laws of man and the laws of God. This play marked not only the beginning of Sophocles’ fame but also the end of his life. Stories are told that in 406 b.c., while reciting Antigone to his friends, Sophocles died. A drum sounds. The rhythm is ominous and heavy. A low chant can be heard as a procession enters from the house. They are carrying tattered banners. Antigone, Haemon, and Eurydice are not in the procession. The chant increases in volume as the actors approach and set the stage. After setting the stage, they exit. The mood is somber. The last in the procession are the chorus. They stand in various places in the house. The drum sounds. All is quiet. Chorus 2 The story of Antigone and Creon. Chorus 6 The tragedy of the crown. All Chorus Four children remained. Chorus 2 would have that the two share the crown. Chorus 1 Eteocles, however, had plans of his own. Chorus 2 Rumors of Polyneices’ exploits were rampant. Chorus 3 Eteocles was the better ruler. Chorus 6 Polyneices declared war against Thebes. Chorus 6 Until the last battle. Chorus 2 The throne was empty. Chorus 6 The country desolate. Chorus 3 And the sisters left to each other. Chorus 2 Creon was crowned King. Chorus 5 The Tragedy of Antigone and Creon. All Chorus The Tragedy of Thebes continues. Creon Brothers and sisters of Thebes, we stand here today united in a momentous, yet somber, victory. There is not a household among us that has not paid dearly for the protection of our homes and the security our laws. We have paid with the lives of husbands, fathers, brothers and (He looks back at Eurydice. Haemon comforts his mother.) sons. As you know, our eldest son, Magarius, was the first to fall. The first to sacrifice himself for the preservation of his city. Also counted among the dead was my nephew and your sovereign, King Eteocles. Their sacrifice- and yours- will not go forgotten. You have my word, as your new king, as your brother, and as a father… I will not let them be forgotten. They are our greatest heroes. Their graves will be monuments of courage and strength. And their names lauded for the ages. As for my other nephew, Polyneices, I lost him as well. He died the day he drew his sword against Thebes. He died a turncoat and a traitor. As your new king, I prohibit any traitor that marched against us to be given the privilege of burial. Let them be a lesson to all that would take arms against us. Let them share with the world the stench of betrayal. Let them rot. And anyone that dares honor these renegades with burial will be regarded as a co-conspirator. They will follow their comrades in death for all to see. You have my word on this as well. Haemon Antigone! (She turns to go) Please don’t walk away from me. (She stops and turns to him. He takes her hand. Ismene notices this and moves downstage with the Captain.) I didn’t want you to hear it this way. I looked for you everywhere before the address. Antigone You need not worry about me, Haemon. I am fine. Ismene Nurse and I looked everywhere for you this morning. Where have you been? (Antigone does not respond. Ismene senses something is wrong.) Antigone, where were you? Antigone (Antigone turns away from Ismene) I couldn’t sleep so I went to stroll the garden. Everything is so peaceful in the garden… especially in the early hours. I walked all the way to the back gate. I stood there for a long time, and then I walked through it. I walked the fields all the way to the far hill. It isn’t peaceful beyond the far hill, Ismene, no matter the hour. Ismene Did you… Did you see him? Antigone I saw all of them! Yes, I saw him. Ismene (Shakes her heard and rises to leave) Antigone. Just come home. I am sure Nurse will make some tea and…. Antigone He is rotting, Ismene. Our brother has been left to rot in a field. Left for the dogs and birds to devour. (Ismene stops) His soul will be condemned to unrest for eternity unless we do something. Ismene, we must bury Polyneices. It is right under God’s law. Ismene But is not right under the law of Thebes. Did you not hear what Uncle Creon said? Burial is forbidden. Antigone Creon cannot forbid us from burying our own brother or from following the word of God! Do you think anyone or anything could stop him from burying Megareus? Ismene If Creon catches us he will have us killed. Antigone He has no right to stop us, Ismene. The law of man is second to the law of God. Ismene Antigone, think. Think of how our father died! Hated, dishonored, blind- his eyes put out by his own hand! And our mother, our dear mother Antigone, hanging in the doorway by a noose she made herself. She could not even look at us without reminder of the shame that we came from the seed of her own son… her marriage a curse and we part of it. And our brothers…our brothers were murdered by the hand of the other. Let it end with them, Antigone; let the curse and the death end with them. We are all that is left of family. You and I… Antigone and her little sister, Ismene. So please, let us just go home. (She stands and tries to pull Antigone up) We can honor Polyneices in our prayers. Antigone (jerking her hand away) Go home? Fine! Go home, Ismene. Go home to your nurse and your coward’s prayers. Turn you back on the memory of your father and your mother. Turn your back on Polyneices. And certainly turn your back on me. I am not your sister any longer. Go home to your Uncle Creon! He is obviously the one you love. Ismene Antigone! Please do not leave me!